@Ojenn - I have missed you and everyone else too! Paige is a so pretty. Especially while pregnant. 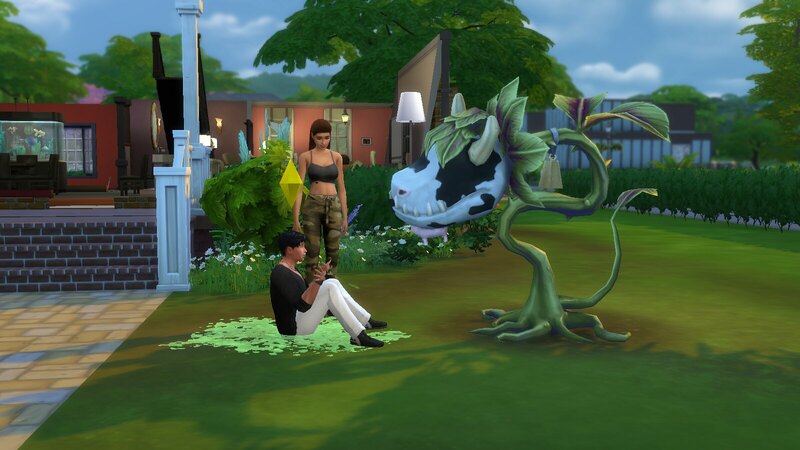 So Daniel decided to mess with the cowplant and ummm let's say the experience wasn't enjoyable. I think it has to do with the good food that Daniel is cooking. He really takes care of her. He decided to take her out on a date. Paige decided that she wanted to read instead. That didn't stop Daniel from getting romantic. Paige was shocked but she definitely said yes. When they get home as Paige was getting something to eat she started to not feel so well. Daniel tried to wait patiently. He decided to dance instead. 2 girls and a boy. Building our skills together. Brett & Valencia love to do everything together. Enjoying a Movie at the new Park in town. Brett is a planner. 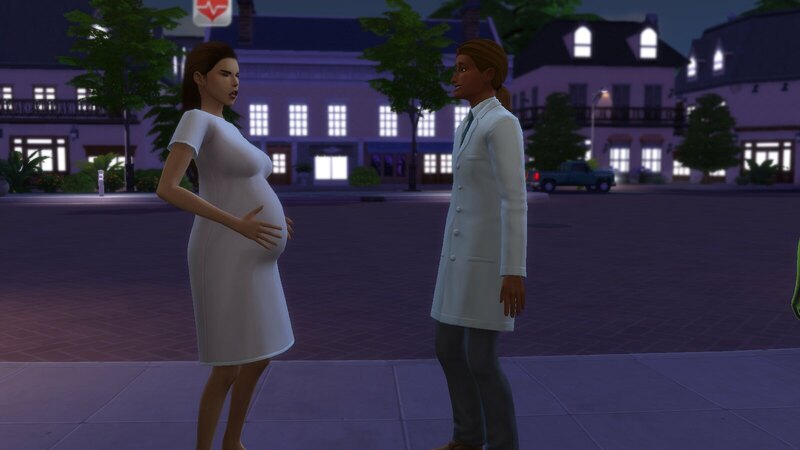 He decides that in order to accomplish their dream to raise their children together as both full time parents that he would go into the Astronaut career. 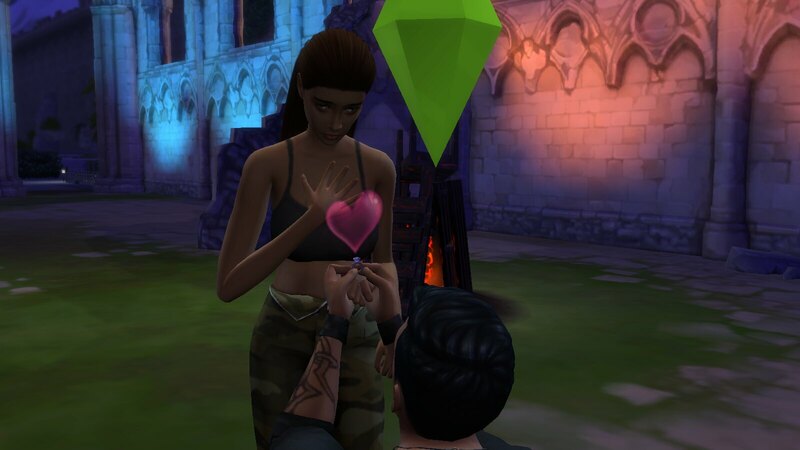 Valencia is wanting to be sure that this will make him happy, because she knew he had his heart set on Law Enforcement. Brett assures Val that this would allow them to pad the savings considerably and he could retire early. They could start their family & once the children (plan is two: boy & girl) are in school they could open their restaurant together. Valencia loves her husband dearly, he always puts his family first! 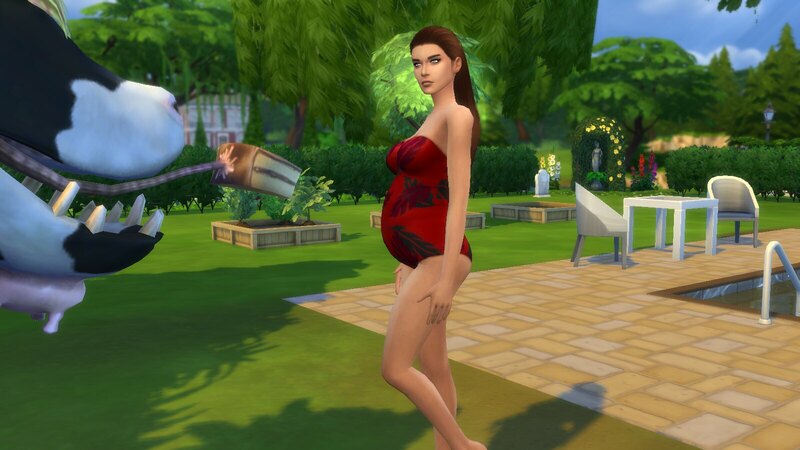 Valencia loves to garden to provide the healthiest meals to Brett. Her cooking skills have improved greatly! Working together to get Brett's Career Skill Set's built up for a quick movement up that corporate ladder! Nurturing one another; caring for the needs of each other is what keeps our relationship vibrant! Come on Val you can do this!! Oh my goodness, Brett I'm a novice, I said I wanted to support you in your skill set building; however, I didn't know dying was in the program! Brett laughs, Val you are so dramatic! LOL. I love you! I couldn't even make it inside to go to bed!! Okay so hard work pays off!! Enjoying a quick meal at the new Library in town. Brett tells me all about his day @ work. He is so excited over his promotion! We were in the celebratory momentum. Caught up in the elation we shared a moment of intimacy. 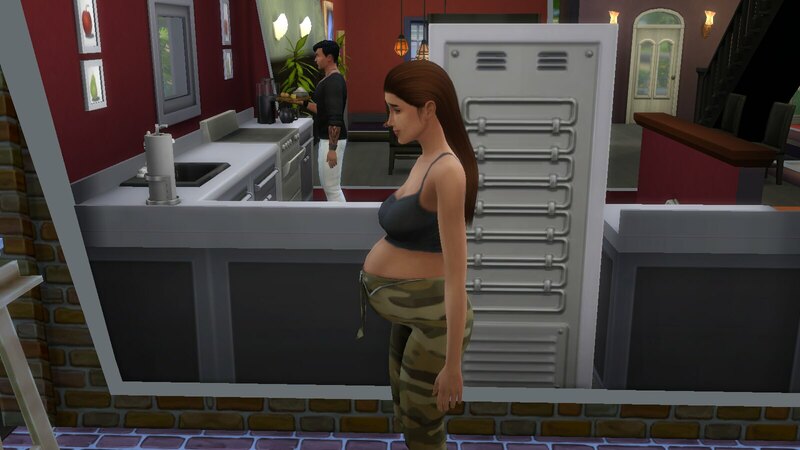 Upon returning to the game Valencia froze, I thought my game was glitching; however, it was the arrival of a baby bump! BIG NEWS hit Basilio Family! Sweets have never been Valencia's thing but she is craving donuts & ice cream! Hilarious!! Brett is craving too; however, he's a tough MAN he would never admit it!! Seriously Sweetheart didn't we discuss this; no more cooking for you! It isn't safe! I'm really starting to like this whole Athletic thing! It really feels good! It's Time!! Valencia is all checked in & cool, calm, collected Dad is loosing it outside! Okay so now maybe I'm a little nervous too! Even though Brett's still panicky @ least he finally made it inside! Our little sweet boy arrives!!! Amiri Basilio born September 27, 2016 @ 2315. Healthy and Happy baby boy! Hi my angel!! Welcome home! The union of our love has created this most beautiful miracle!! stealing away for a moment to themselves after caring for little Amiri! 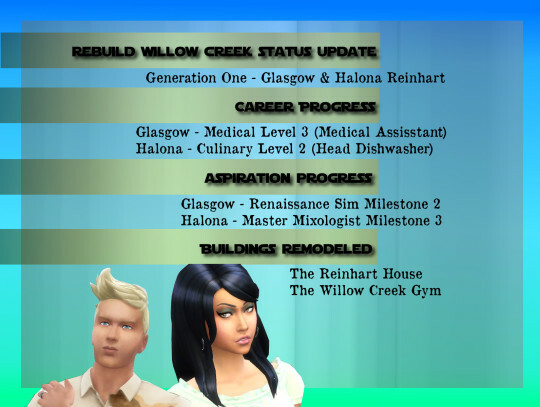 I've been posting most of my Rebuild gameplay on Tumblr, but I made this picture to show the progress I've made so far with my founding couple. @amadazulsim - Paige has such a beautiful face, I bet her and Daniel's babies are going to be just as stunning with such good looking parents. @soulfull - Brett and Valencia seem like such a loving couple and I really love their home. 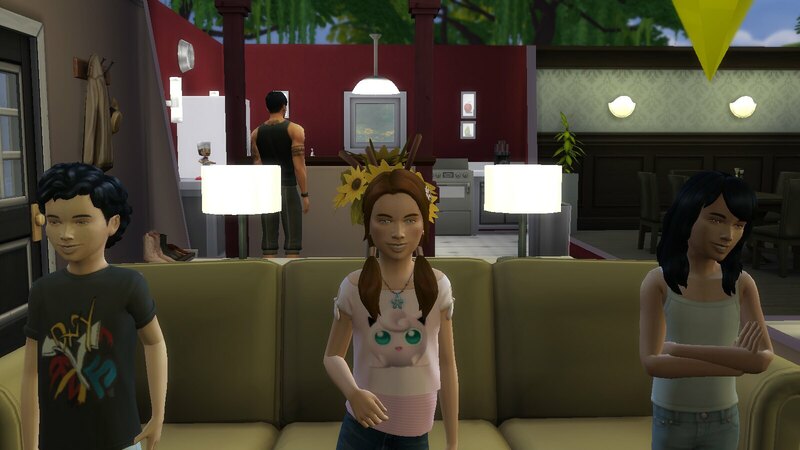 @NewToTheSims - Looks like you are making good progress! I have been stalking following along with your challenge on Tumblr as well. Finally back with an update, I haven't had much play time sadly and these pictures are from older gameplay. I hope everyone is doing well and I hope to see you guys soon, I may get some play time in this weekend. 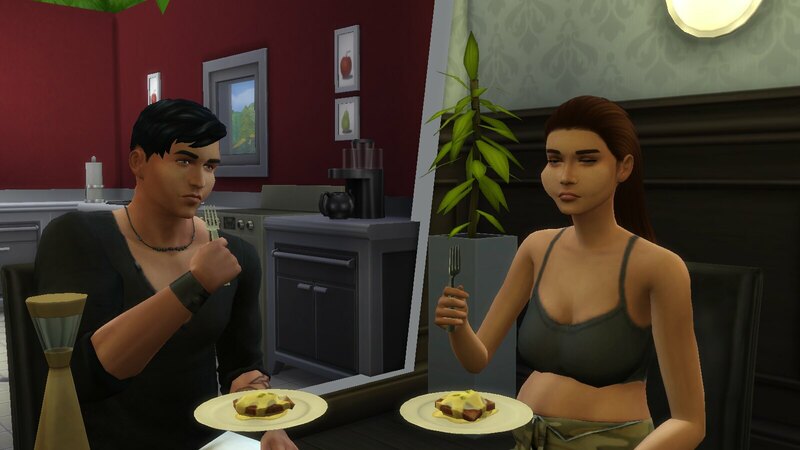 @NewToTheSims Your founding couple is adorable! I don't know what Tumblr is. @OJenn WOW Gen 9!!! Thank you for the compliment on our home. Yours is very nice as well. I LOVE the colorful landscaping/scenery of your towns! @amadazulsim TRIPLETS!!!! I've never experienced that! I bet it keeps you guys busy! Congrats they are adorable! Sorry posted same pic twice the 2nd one was supposed to be Valencia & Amiri. Thank you. 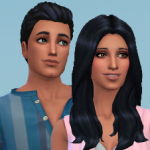 I finally cleared Willow Creek and made my couple. Atsu Takanori (Asian) and Rachelle Coughton(African). Rachelle was lucky to be alive after the disaster hit the town of Willow Creek, killing almost everyone(including her brother and father). She's trapped beneath the rubble of what used to be her home, losing hope of ever being rescued but after what seemed like days, she hears a voice calling out and she screams for help. The person must have heard her because next thing she remembers is being pulled out and a concerned voice asking if she was okay. Weak and dehydrated, Rachelle passes out. Atsu Takanori carried the woman he'd rescued to what was left of his home, the entire top floor had been destroyed bit at least it was shelter. It had been less than 24hrs since the storm had hit and for a long while, he'd thought he'd been the only survivor until he'd heard a voice crying for help. Laying her down on his makeshift bed, he uses his experience as a medical intern to treat her injuries. When she finally wakes up she asks about the survivors. She cries when he tells her they're the only ones left. While Rachelle recovers from her injuries, Atsu sets to work fixing up the cabin, making a small garden where they could at least grow some plants so they wouldn't starve. As the days go by, the two survivors find themselves drawn to each other and love slowly blossoms...Two weeks later, Atsu proposes to Rachelle and they elope immediately. Now they're getting the rest of their new home ready because Rachelle has a feeling there might be a new addition to the family soon. @OJenn Thanks! LOL. 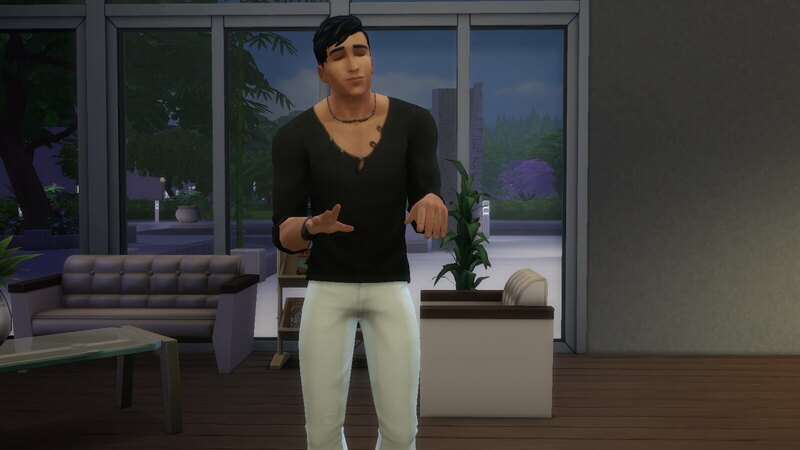 I had some mishaps yesterday when TS4 was acting up, but I think I managed to get some good gameplay in as far as progress with the challenge. XD Thanks for stalking, I mean, looking at my stuff. 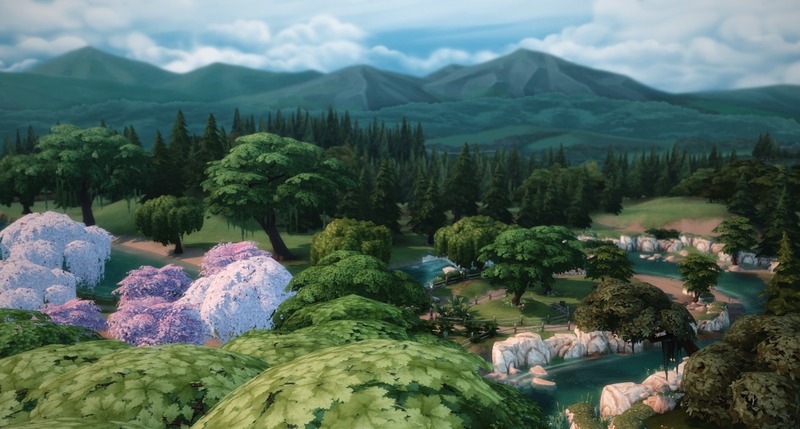 Your house and Sims are gorgeous by the way. @soulfull It's okay, Tumblr is just another blog platform. Thank you for the compliment! Can't wait to see what Amiri looks like as a child. @soulfull - Brett and Valencia are making a nice home and family for themselves. Amiri is a little cutie pie. I am now an expert at playing large families. lol All of my heirs since about generation 3 or 4 have had large families. @Ojenn - Nice house. I am sure the generation 9 family will enjoy it. Charlotte is pretty. I think she is a good combo of her parents. She reminds me of her mom but you definitely see her dad in her. I kept wondering who she reminded me off and then I read the comment about @Heckstress17 saying she looks like Nina. I have to agree. The kids looked like they had a good time at the club. I need a night out like that. I hope you get some playtime in soon. I know the feeling. This is the first weekend I have played in a long time. I'm glad I'm not the only one behind here! I've not even had the energy to play lately. However, I'm finally opening my game today. Miss you all so much!! 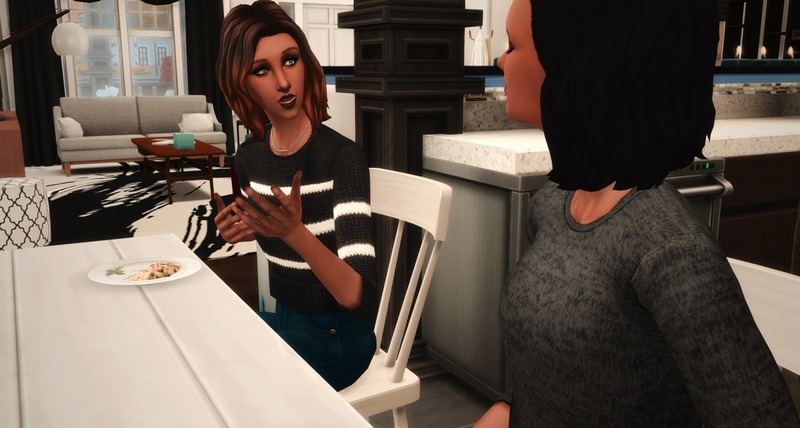 So I saw the new blog post about how they created the new city living expansion pack around diversity. 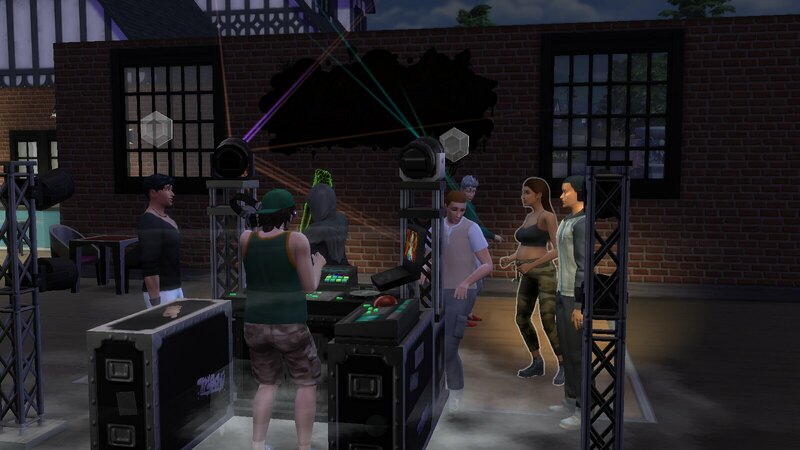 And some of the sims I've seen look very diverse. 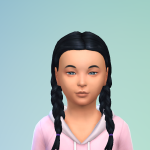 I wonder if this will give us more CAS options to better create different races and nationalities? That would be so awesome!!! @amadazulsim Welcome back! 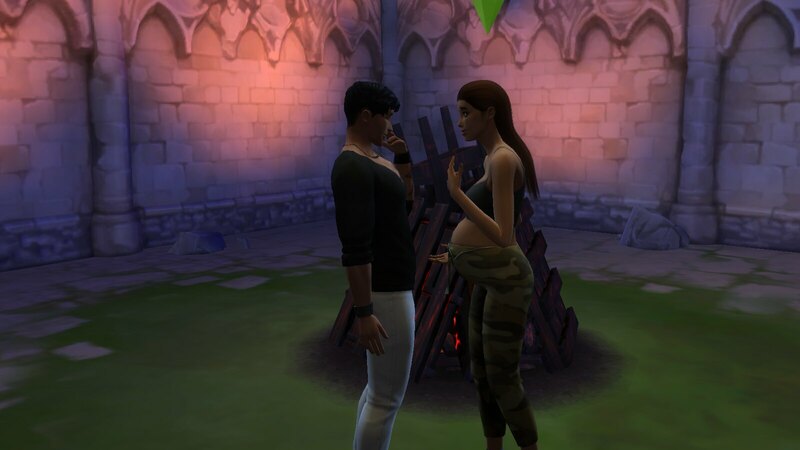 Paige and Daniel are cute...congrats on the triplets. 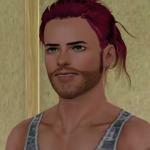 @NewToTheSims I went and found you on tumblr I'm thinking I might have to try that for the next leg of the challenge. It would be nice to have a place I could see my story all together. I like your starting family and I appreciate your trouble with posing! @Teslachick2 I knew what you were trying to say I like the start of your story, I'd love to see pictures!! Anyways! Back to your story!! I love the graduation party! I always love those group dances. What aspiration did Charlotte get? I love that pose of them walking home together at night. So sweet. @debjameswhite Oh hey! Haha, thank you for finding me on Tumblr. XD It is kind of fun for random gameplay pictures. I prefer things like Wordpress and Blogger for more serious stories, but Tumblr is a nice "just for fun" place. LOL, glad you understood my challenges with posing. I'm pretty sure it's just because I didn't download that "Teleport Any Sim" thing, haha. @NewToTheSims Oh yes I've read you need that too and I hate to say it sounds like too much work for me... 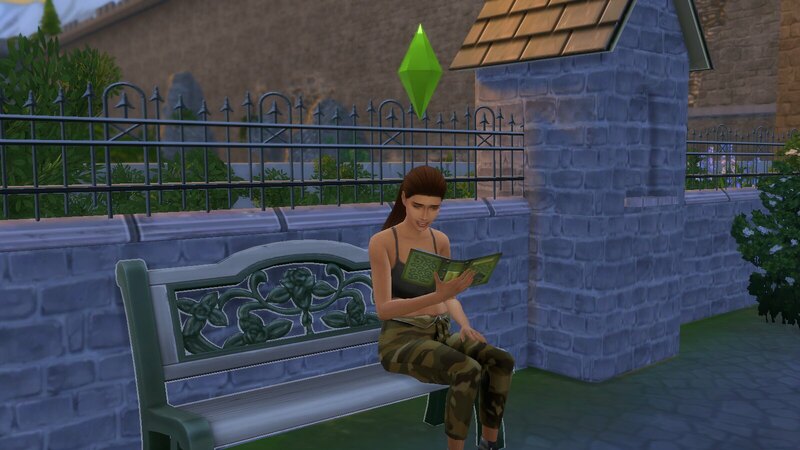 I also went to your Echoes of Eternity page and was trying to find your Rebuild Willow Creek from there...that's when I realized you had multiple pages You're feeding my inspiration to get more creative with the Oasis Springs leg of this challenge! @everyone Logan rolled a desire to try for a baby. 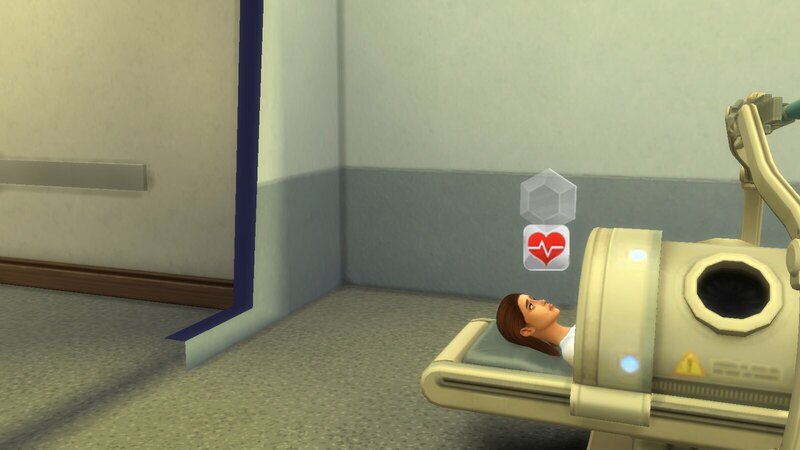 It's like the second time only a sim has rolled that desire...I am trying so hard to resist...I had 3 single births and feel so blessed...why would I tempt fate???? HELP ME!!! 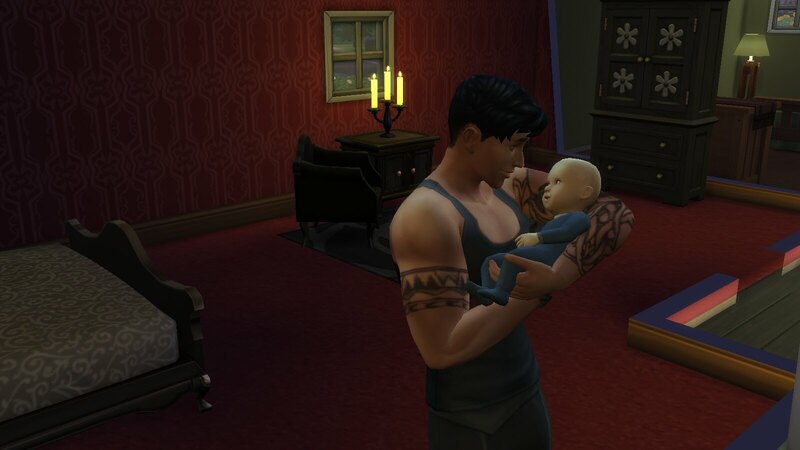 Soooo, I've been working today and figuring out how to continue my challenge, with just ONE family. 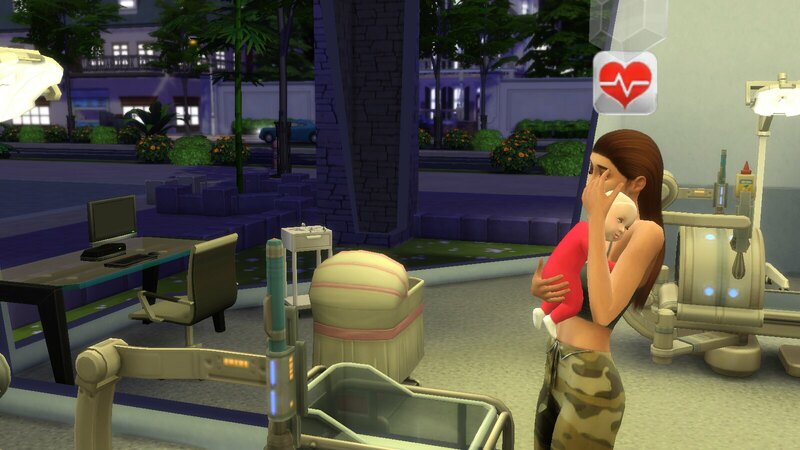 I'm going to start with my first family I created...the Alleys. I'll continue them where I last played them. My other 3 families at generation 3 have been put into a cryogenic state lol...frozen in time (deleted from the game) until I finish the Alley's. Then I'll bring each one back in turn to continue. Because I do want to finish each of them! 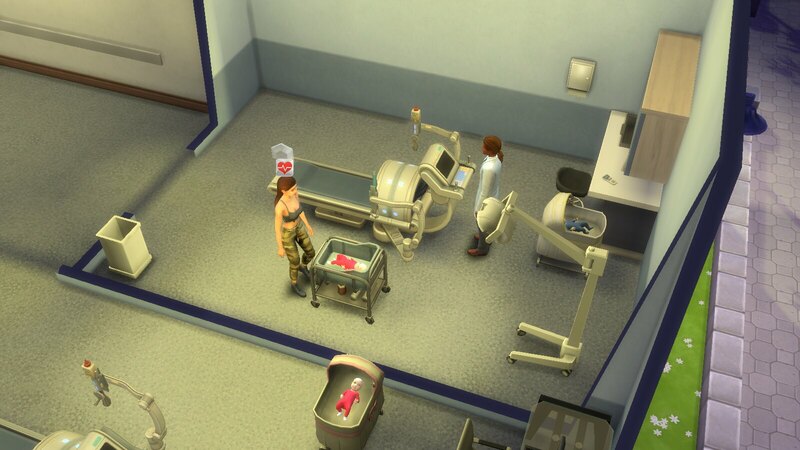 @debjameswhite @NewToTheSims - I use the teleporter mod exclusively. I only download poses from people who show where to place the teleporter because it takes the guess work out of staging shots. 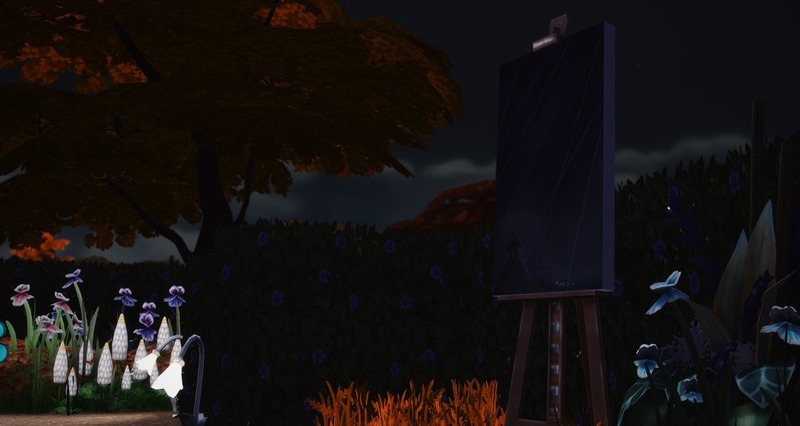 And thank you @debjameswhite I really enjoying setting up pictures that I feel capture a certain sim's personality. 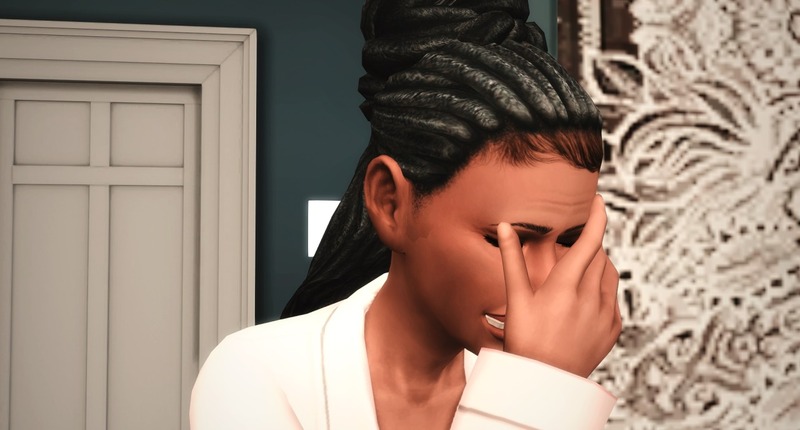 I really do feel for Audrey though, I put Gary in the game well after she was a teen so I thought she would go first for sure but she is still hanging in there for her girls I think. @Meeshelby - You are so brave! I can't wait to see how the Alley family progresses, although I will miss the others it's exciting! @debjameswhite LOL yeah, I have stories on Wordpress, Blogger, and Tumblr. I like to know how most of the platforms work, so I picked a few that I like, and use them. Your mention of finding Echoes and then not seeing Willow Creek does bring to light that I should probably put a link to it from Echoes. LOL. I do like to have my blogs all referencing the others, that way people can find things. Sorry it was confusing. LOL. On Tumblr I have a page that shows all my story links. 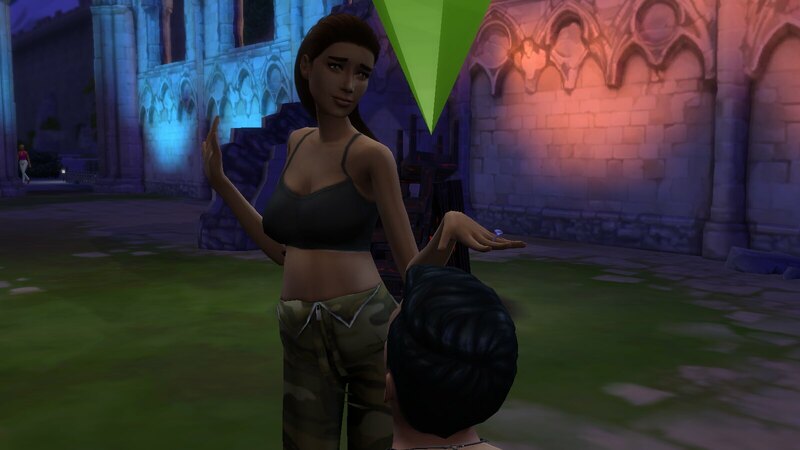 @OJenn Can you use the Teleport mod every time you do poses in sims 4? Or is it just for poses that specifically say to use it? Every night after work Kenzie greats Logan in the street, She adores him, and cannot wait for him to get home. He had a little bout of illness, but she cheered him up by serenading him while he ate. “You should call in.” She suggested, but he refused. This is the Wilson view…I’m proud of anyone who knows what that means! She is forgiving because he’s been a good father. The girls have started sharing a double bed. They don’t see the monster when they sleep in this bed. He still has time for some games of chess with his brother though. This made me happy because Logan called his family to a meal all on his own. Chili for breakfast though? OK.
Kenzie and Logan got some alone time and went to a party…however they didn’t do much socializing! Logan with his son Liam. Liam’s a little meany so Logan is trying to instill some goodness in him. Then, they almost lost Logan. Luckily, he was ok after some rest. And his club helped him rebuild. I have never seen this before. Kenzie told him she was pregnant. 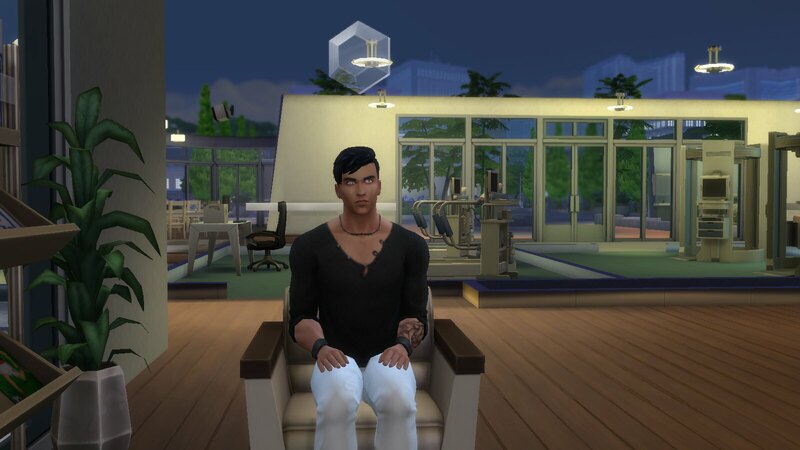 He has his usual sim reaction and then went to sit at his computer. He was so happy he cheered. I have no regrets. 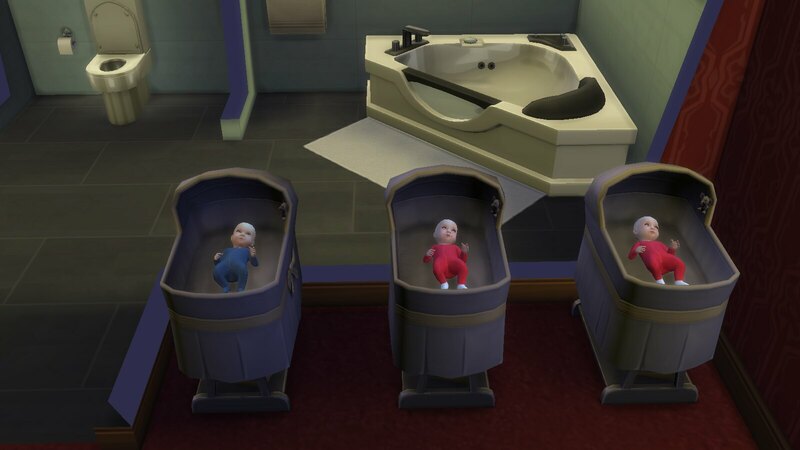 (Just a little…it’s twin boys). 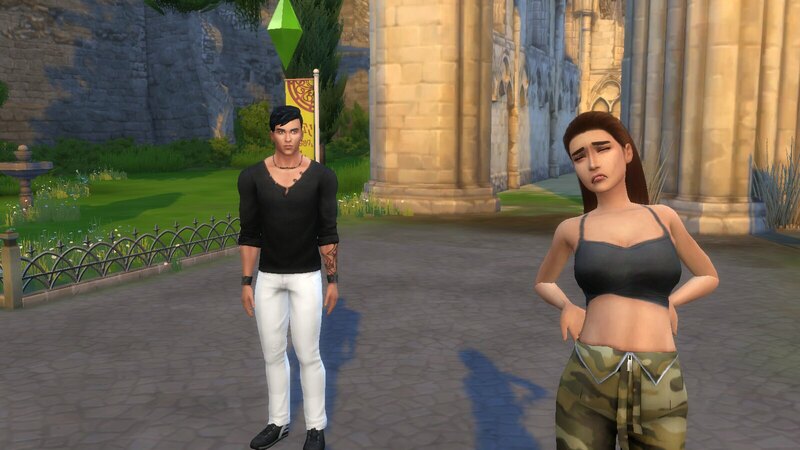 @NewToTheSims - I use them with poses that don't call for the mod. I find it's easier to use it with single person poses too. I tend to do this alot when staging, like for example my last day of school pic was just a cluster of single sim poses but I used the teleporter mod to position everyone. @OJenn Oh sweet! 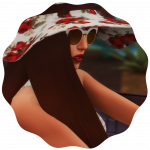 There might be hope for me posing occasionally in TS4 then LOL. @debjameswhite - I think it is cute that Kenzie greets Logan after work. I love when my sims do that. 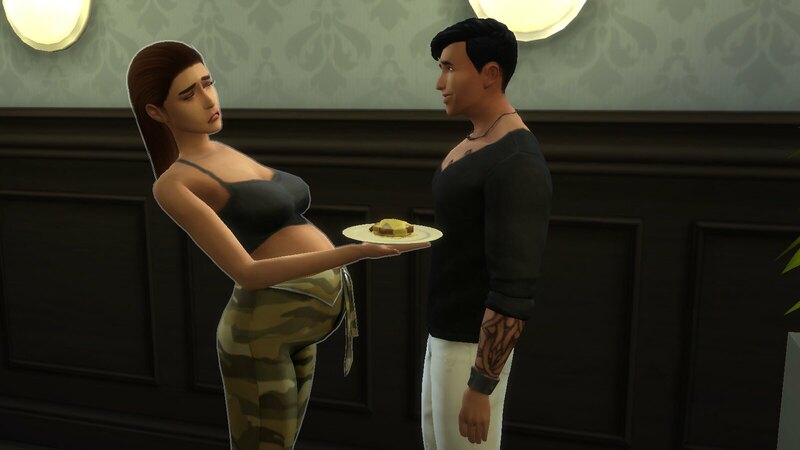 Congratulations on the new nooboos on the way. I had to laught at that one face Logan made when he found out he was going to be a dad again. @amadazulsim The kids are adorable!!! @everyone So, one of my biggest loves of this challenge is keeping up with my family tree on familyecho. The whole geneology bit is so much fun to me. However, I realize that my main tree HERE, is not easy to look at for those of you not interested in seeing any more than just the heirs. So I've created a 2nd tree HERE, with just that. It has only the Alley's on it for now! Much easier to keep up with for you all I'm sure! I have finally finished building all the venues in Willow Creek. I have only built a few homes. The game keeps moving Sims in so I have to keep evicting them. The restaurant that I built is in the business world. I am so excited to be able to just play and enjoy that aspect of the game for awhile now. This thread is so much quieter than it used to be!! Is everyone just crazy busy like I have been? Or have people stopped playing?